With just over one week to go before the end of scoring, the Inside Film Awards are happy to announce a number of new partnerships. Australia’s best loved weekly magazine, WHO and Time Out Sydney join 3 Mobile as significant new media partners for the Inside Film Awards. While Sony, Autodesk and the Post Op Group come on board as Award naming partners and St Arnou and MadFish Wines pitch in for the party! “The Inside Film Awards are delighted to welcome these new partners, especially in this, our 10th anniversary celebration. These relationships are so valuable to us as an independent awards event – these new partnerships, along with our incredible line up of existing supporters are pivotal to the growth and success of the IF Awards”, said IF Awards General Manager Clare Sawyer. Time Out is an international institution, giving weekly insights into what’s going on in the city. The Sydney version is Australia’s first, ahead of further cities planned for next year. Make sure you check out www.timeout.com/sydney for regular updates on this years’ IF Awards. “Time Out Sydney is excited to be working with the Inside Film Awards. As an international brand we hope to engage a new audience in the voting process and to champion Australia’s talented independent film makers”, said Time Out Sydney’s CEO Justin Etheridge. Not only will WHO continue to bring you all the latest celebrity news and entertainment updates from around the world, they’ll delve into the IF Awards glam and fashion and may even take a sneak peak behind the scenes! Keep and eye on www.who.com for all the breaking celebrity news. 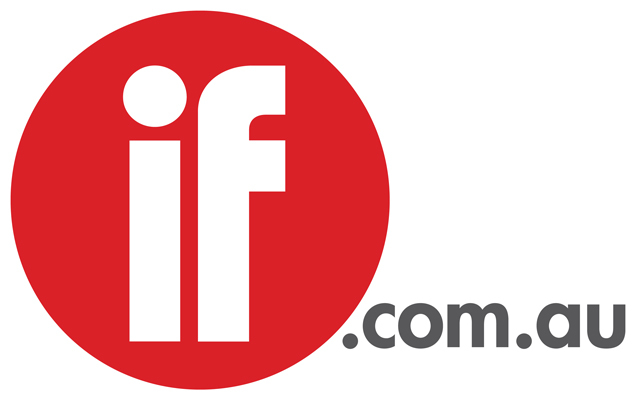 “We are really excited to be sponsoring the IF Awards in 2008. WHO is a proud supporter of the Australian film industry and opportunities such as this allow us to extend our support beyond the pages of our magazine”, said WHO’s Marketing Manager, Samantha Sharp. The Inside Film Awards also welcome Sony, Autodesk and the Post Op Group as IF Award naming partners. Sony will takeover partnership of the IF Award for Best Cinematography. "As a proud supporter of the Australian film industry, it was a natural link for Sony to sponsor the 2008 IF Award for Best Cinematography. The Inside Film Awards celebrate and foster local talent and by providing award winning video products, we aim to encourage the growth of Australian film culture nationally," said Nick Buchner, Product Marketing Manager, Content Creation Products at Sony Australia. Autodesk will present the IF Award for Best Short Animation. "Autodesk is delighted to sponsor IF Awards in 2008. As a leading edge 3D animation software provider to the film industry, we see this as a fantastic opportunity to recognise and reward Australian filmmakers", says Hanspeter Eiselt, Managing Director of Autodesk Australia. The Post Op Group is a group of companies comprising of Babylonia Post, The Sergery Sound, KLINIK Design and NCC Systems. As specialists in HD post production they have worked with many long form television shows, documentaries and independent feature films. The Post Op Group will present the IF Independent Spirit Award, “as a first time supporter of the IF Awards we are proud to be associated with such a prestigious event”, said Clint Logan, Executive Producer. Finally, St Arnou Premium Beers and MadFish Wines join FIJI Water as beverage partners for the IF Awards. St Arnou is Australia’s leading and fastest growing independent premium beer brand, specialising in European-styled premium beers. At the beginning of last year St Arnou released their most popular draught beer, the multi award winning St Arnou Premium Blonde into bottles. “As Australia’s leading independent premium beer brand, St Arnou is proud to be involved with such an event celebrating Australian creative talent, innovation and character – we look forward to the night and hope St Arnou beers are able to make a valuable contribution to the festivities”. They, along with the award winning, Margaret River based MadFish Wines will be the drink of choice for the IF Awards. “Like MadFish Wines, the IF Awards celebrates fresh, spirited enjoyment through their support for the Australian film industry and we are very proud to be a sponsor of this renowned event”, said Amy Burch, MadFish Wines Owner. Principal Partner: Queensland Events Corporation. Major Partners: Screen Australia, SHOWTIME. Major Government Partner: Screen Australia. Broadcast Partners: SBS, SHOWTIME. Government Partners: NSW Film and Television Office, Gold Coast City Council. Event Producers: Vision Services Management. Award Level Partners: Autodesk, Cutting Edge, EFilm, Holding Redlich, Hutchison 3, Inside Film Magazine, Post Op Group, Production Book, Queensland Events Corporation, SBS, Screen Australia, SHOWTIME, Sony Australia, ZigZag Lane, ZTudio. Supporting Partners: AFTRS, Australian Centre for the Moving Image, Birch Carroll & Coyle, Dendy Cinemas, Dinosaur Designs, FIJI Water, ghd, Hopscotch Films, Kodak Australia, MAC Cosmetics, MadFish Wines, Madman, Moneypenny, Orana Film Transport, Palace Cinemas, Palace Films, Panavision, Screen Producers Association of Australia, St Arnou, Soundfirm, Trackdown. Media Partners: 3 mobile, Inside Film Magazine, Production Book, Time Out, WHO. Official Travel Partners: Showfilm, Avis. Auditors: Moneypenny. Legal Partner: Holding Redlich.